At my house we own the LG front load washing machine. I love it because it has so many setting options! First I do a 15 minute speed cold water wash with no soap. 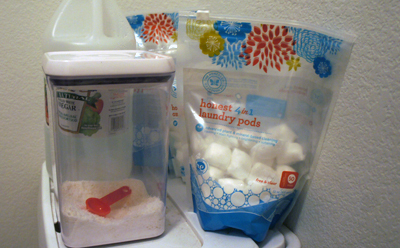 Then I throw in a Honest Brand 4-in-1 laundry pod and set the washing machine at: Cotton/ Normal Wash, Hot Water, Heavy Soil Level, 2 Extra Rinses. I wash my cloth diapers every 2 days. I wash everything together diaper shells/covers, inserts, hemp inserts, cloth wipes, laundry bags and even my 3 year old son’s underwear if he has an accident. For drying I remove the diaper shells/covers and laundry bags to line/air dry. Everything else goes in the dryer with 6 wool dryer balls and 2 large towels. This helps reduce static and helps them dry quicker. I do line dry outside every once in a while. It freshens the cloth diapers and helps remove stubborn stains. 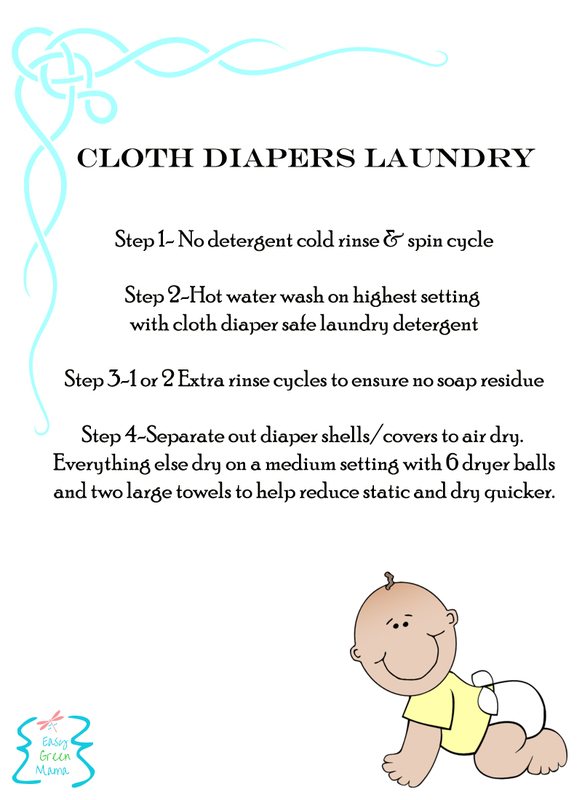 I have written a couple other post about my cloth diaper laundry routine. Check out other post and learn more about The Cloth Diaper Blog Hop at change-diapers.com here. Maria, I love that feature! I’m so glad I have cloth diapers b/c that’s the only time I ever use it! that is a lot of options. I’m just thankful mine has a ‘2nd rinse’ option so I don’t have to go back and forth so many times..
Jill, I honestly don’t know how to use most of the settings! I would have to ask my husband b/c he does most the laundry. I am only responsible for cloth diapers! How many diapers are you washing at a time? 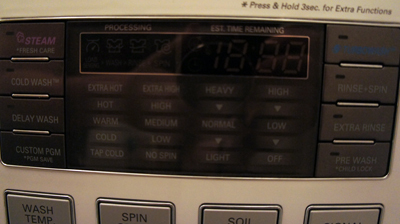 I have the same machine and am having difficulty with igniting out the quantity that I can effectively wash. Thanks!! I wash every other day. So about 10-14 diapers at a time. I now add 2 towels to the wash to make sure enough water is in the washer. I haven’t had any issues. Hope this helps! I haven’t started CD’ing yet because baby hasn’t arrived. But this post helps me out a lot because I was wondering how to do the laundry too! 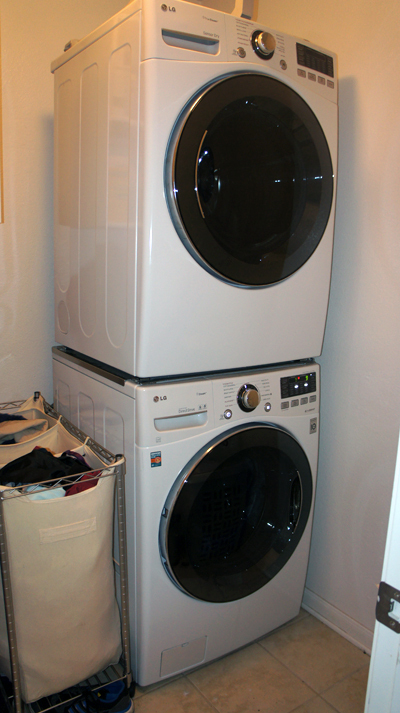 Your washer/dryer looks a lot like mine, different brands but similar set-up. Great Amanda! Glad I could help! Congrats and you will love CD’ing…it is addicting! 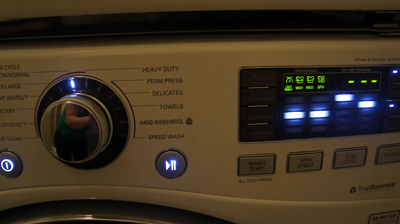 Hi, when you add two towels to the dryer are the towels wet or dry? If they are wet, do you wash them with the diapers and then put them into the dryer? Thank you!